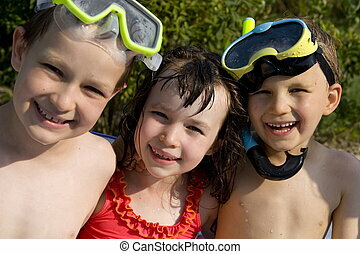 Three happy swimmers at the beach. 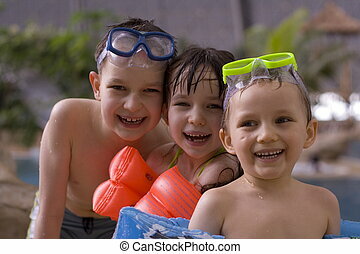 Three happy swimmers in the pool. 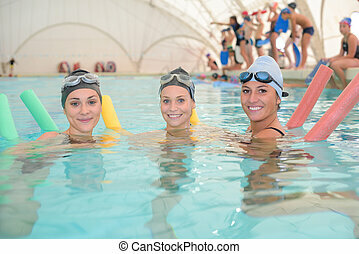 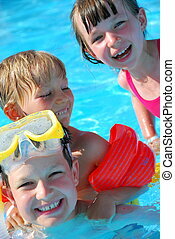 Three happy swimmers playing in the pool. 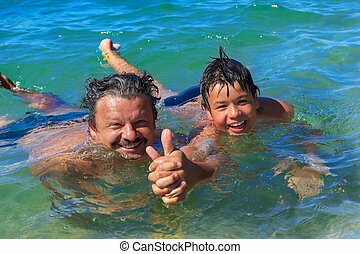 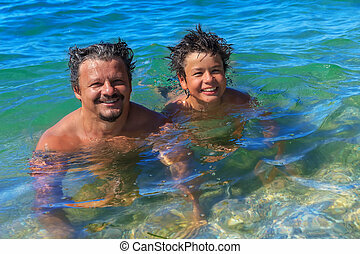 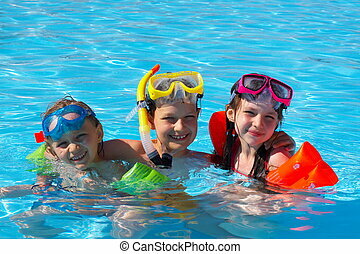 Three happy swimmers in the ocean on a hot summer day. 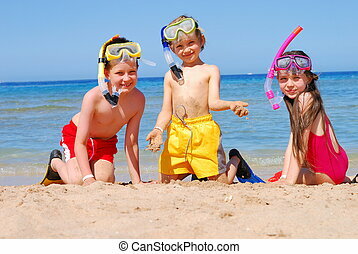 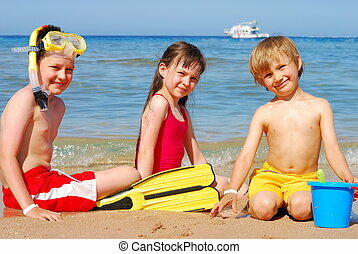 Three happy children playing in the sand at the beach. 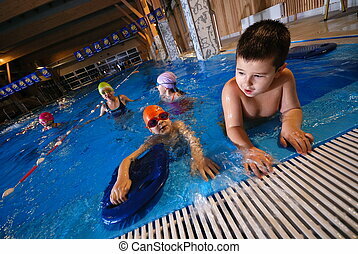 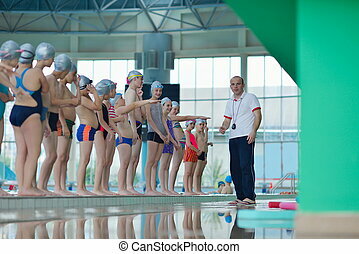 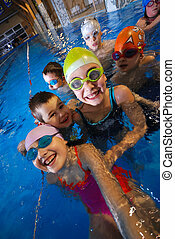 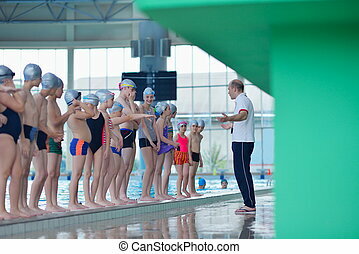 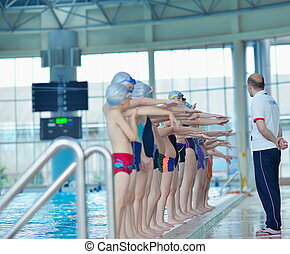 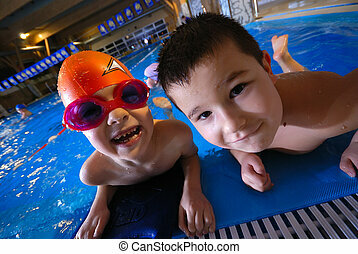 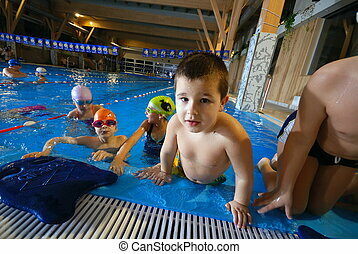 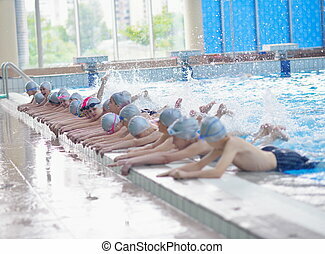 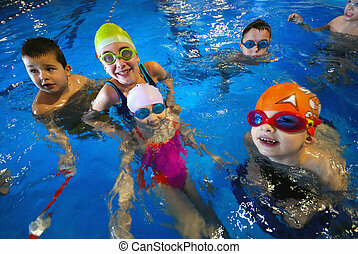 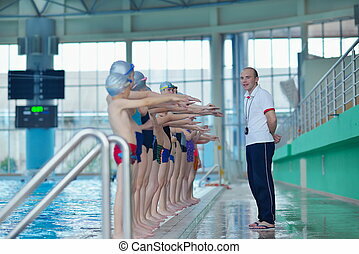 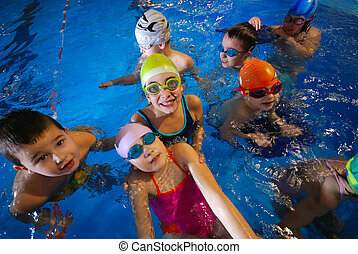 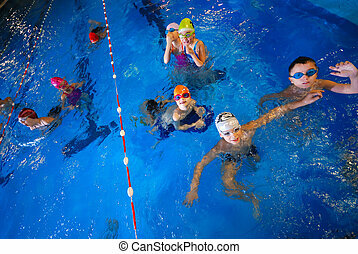 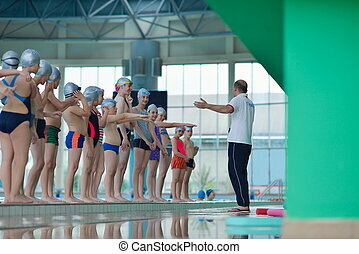 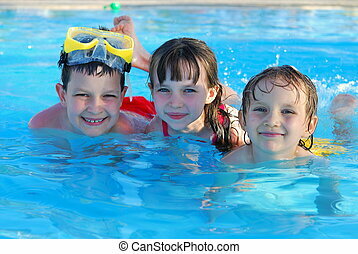 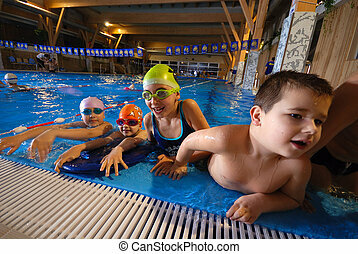 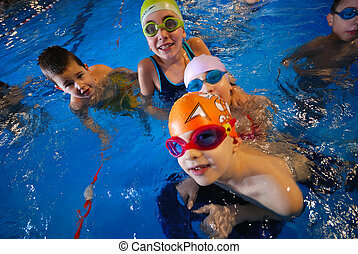 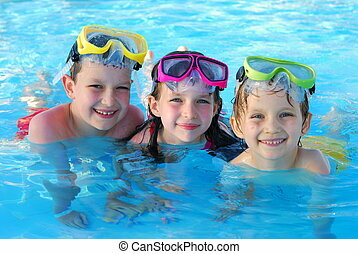 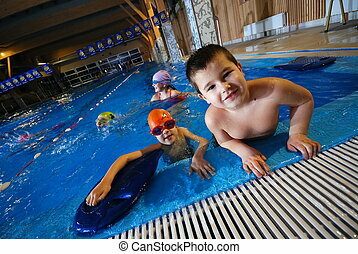 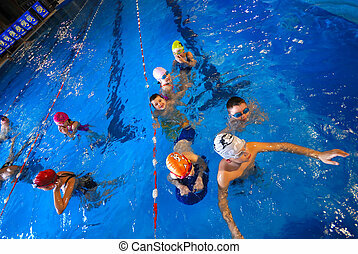 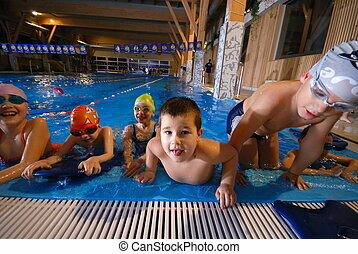 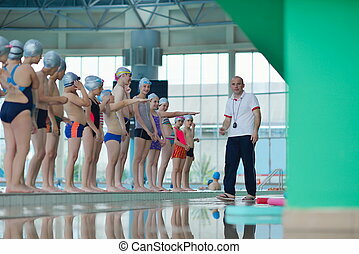 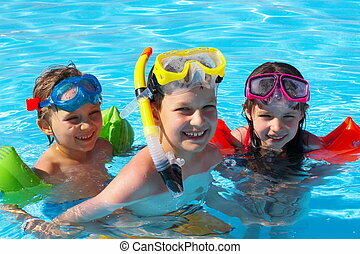 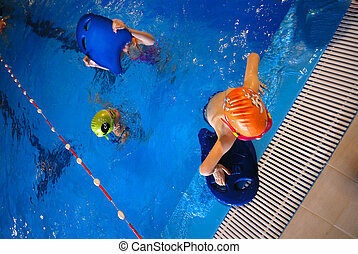 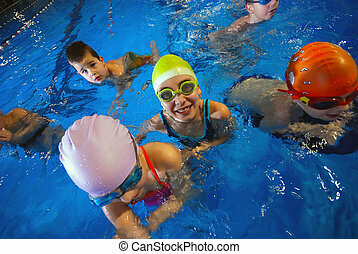 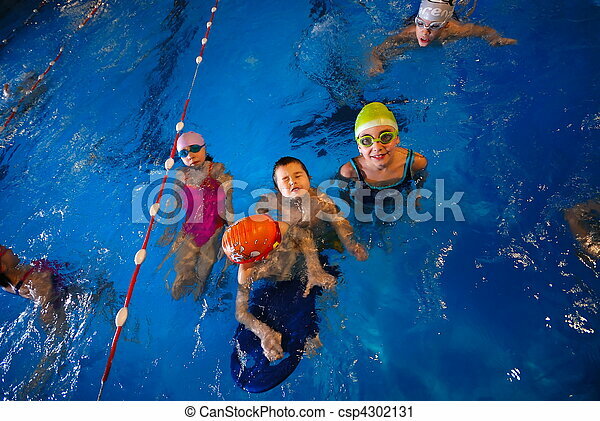 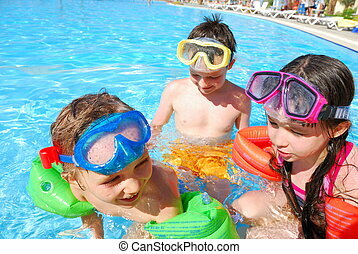 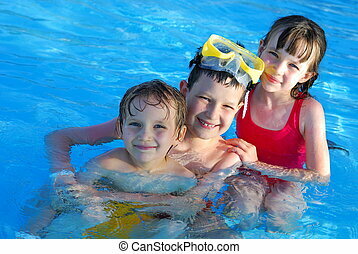 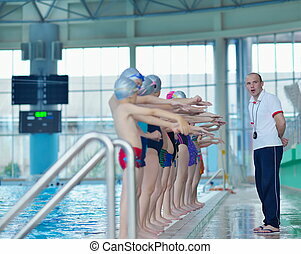 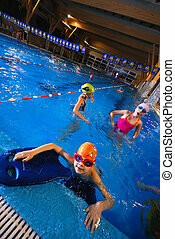 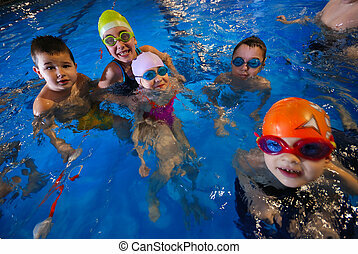 Happy children swimming together in a pool.